I didn’t win this time, not only because I wasn’t in a tandem racing boat with someone that actually knows what they’re doing, but also because I choose a heavy boat in order to stay upright during the race. There may not be anything to win in this race but I don’t want to lose pride. During the race I was halfway around the island when I saw a branch in the water. Thinking it was small and I’d just go over it I kept paddling straight (these boats are meant for heading straight fast, not turning). Unfortunately it was like an iceburg…the branch was forked, with most of it under water. The fork got stuck on the nose of my boat. I kept paddling thinking it would just fall off on its own. The branch sprayed lots of water everywhere and caused a lot of drag. I decided to cut my losses and take the time to knock the branch off, leaning forward with my paddle (even in a trainer this was a good balancing act). Racing as fast as I could I still made it as about the middle of the pack, at about 13 minutes (8 was the fastest time). While hanging out by the dock I heard my name behind me and found two friends on shore! They joined in for the food afterwards and I got to show them the boats, especially the adapted boats, which are primarily used by a very good paddler that is part of the club and paddles in our group frequently (where we’re all using a mobility device to get around!). 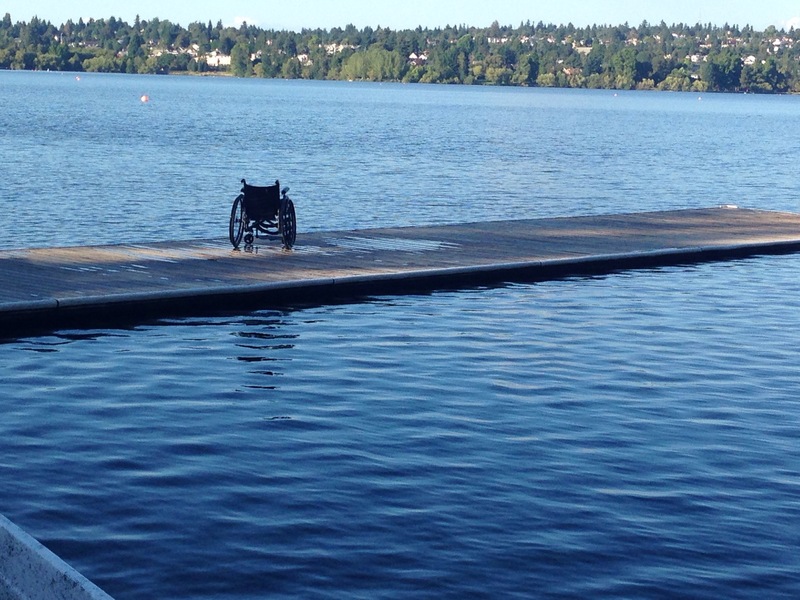 One uses a wheelchair, so she came down to the dock when she saw an empty wheelchair, since she also enjoys paddling. 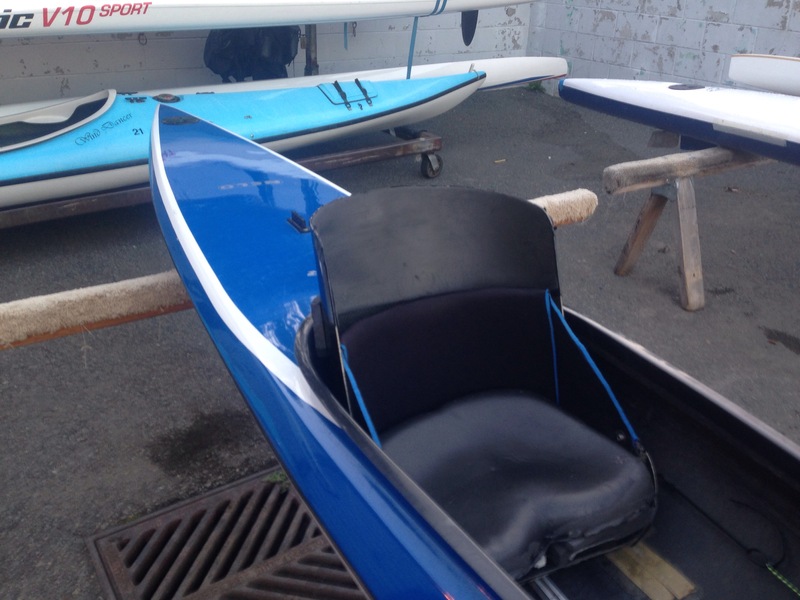 She was sold and scheduled a paddling session for the very next day.